The article comprises key reactions from Retail,FMCG and E-commerce segment. "With a deep focus on the social sector, this year’s budget has ensured that India will be clocking a healthy growth rate. We are happy that, Finance Minister has given a boost to infrastructure spends and to the MSME sector. The MSME sector is the backbone of our economy and this boost by the government will ensure higher production and consumption. "With this budget, the Finance Minister has rolled out measures that will benefit agriculture, education, health, power, and women the most. With NITIAayog establishing a National Programme to direct efforts in the area of Artificial Intelligence towards national development is a good sign for technology startups. Also, government taking additional measures to strengthen environment for venture capitalists and angel investors is a good news for the startup economy. We look forward to more action on the proposed train-the-teacher initiative to improve education quality impacting the work force quality in the long term." "The lowering of corporate tax to 25% from 30% comes as a welcome move for corporate corridors. The industries will now be charged to take up new financial goals with reduced tax burden". The Financial Minister has remained focused on fiscal prudence even after announcing few popular measures like free health insurance and actions to increase farming income. FM has considered everyone starting from the bottom of the pyramid to the president of India, however, seems to have a forgotten person in between which is typical middle class. Almost no practical benefits for the typical service call which is the largest customer in the retail industry. Few of the actions like LTCG may be sentiment dampener. In all this budget has missed a big opportunity post demonetization and GST to take steps to encourage consumptions. “We welcome the union budget’s strong focus on inclusive development, with allocations for enhancing both rural and urban infrastructure. It gives a big boost to rural infrastructure by ensuring electricity access to all rural households under the Saubhagya scheme. Additionally, the allocation of Rs 2.04 Lakh crores for developing smart cities will go a long way in creating world class urban infrastructure” said Sumit Joshi, Vice Chairman and Managing Director, Philips Lighting India. “The Finance Minister has presented a very realistic budget with focus on critical areas like agriculture, health, job creation and skill development. We expect rural demand to pick up as disposable income goes up following slew of measure. Bringing the corporate tax rate down to 25% from 30% for companies having a turnover of Rs 250 crore or below is definitely encouraging move for SMEs and MSMEs. Besides proposal to launch National Health Insurance scheme is also a good move. “The introduction of long term capital gains tax at 10% is not only warranted but is essential to address the gap between the manufacturing / trading and financial market activities. Similarly, reduction of corporate tax to 25% for the MSMEs with turnover of up to Rs.250 crores who make about 99% of total tax paying entities is a decision in right perspective. However, the salaries individuals are left high and dry without much to drive home. It is no doubt that the continuation of tax reforms like invent of GST, online assessment of income tax, restrictions imposed on cash transactions, invent of Aadhar like unique identification for business entities, encouraging digital transactions towards a less cash economy will all result in a transformative reform for the country. 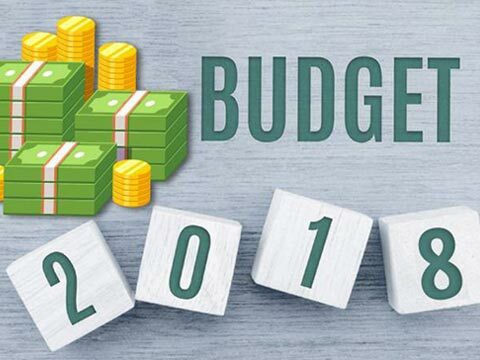 The focus on ‘Ease of Living’ that was the running theme for the union budget has tried to raise the per capita income specially for the rural and semi urban population. This will allow more spend boosting retail, especially the expenses made per capita on FMCG products. The budget has a long- term focus on empowering people in various categories which will have raving impact on the FMCG. Challenges for the luxury brands!